I am an interior designer based in Bristol and I am obsessed with décor. 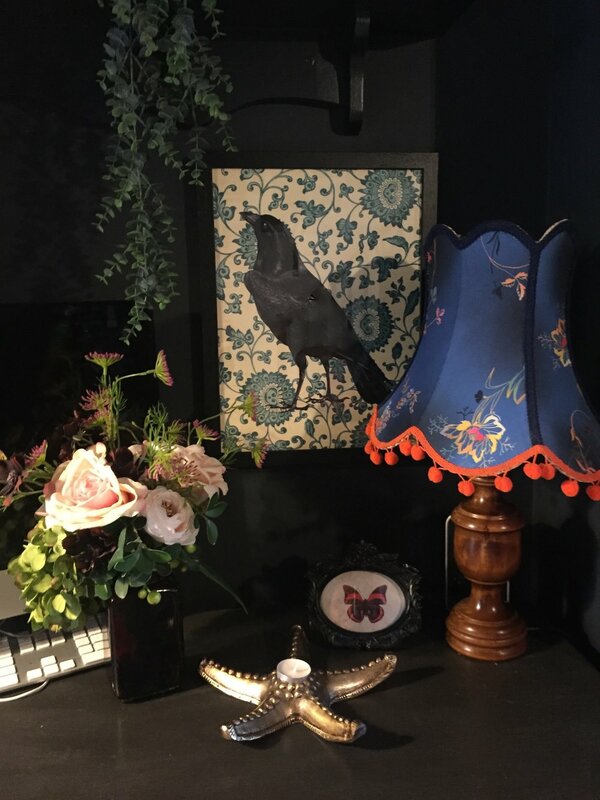 I can help you transform your space into something luxurious and unique with sourced one off vintage pieces, texture and colour. We can push boundaries and break the rules to create a fabulous home you will want to show off to all your friends. I started my interiors journey as a child growing up in Australia, where much to my mums dismay, my love of colour and beautiful things had me forever rearranging my bedroom and designing how I would like it to be. My mum was a bit of a nomad at heart and as it was just the two of us, we moved house a lot and never really put down roots or kept possessions. We moved to England when I was a teenager and after I finished school I spent a few years travelling around Asia and India, fulfilling a burning desire to see beautiful places and experience different cultures. In my early twenties I settled in Bristol and started working as a painter and decorator. I had always been creative and practical and loved experimenting with colour and fashion, so this was a natural career path for me. After some time gaining experience on work sites in Bristol and London, with a few famous peoples houses under my belt, I set up my own decorating business in Bristol. I ticked along happily but in the back of my mind I always wanted more. I would think about interiors all the time and ways to improve whatever house I was working on, or note things I loved and would perhaps use elsewhere if I had the chance. When I was 29 I enrolled at the City of Bristol College and graduated 3 years later with an HND in Interior Spatial Design. My obsession for interiors was put on hold as my desire to have kids overtook and I became a mother to Ned and Maggie. I wanted to enjoy the precious pre-school years with them both so I became a stay at home mother. 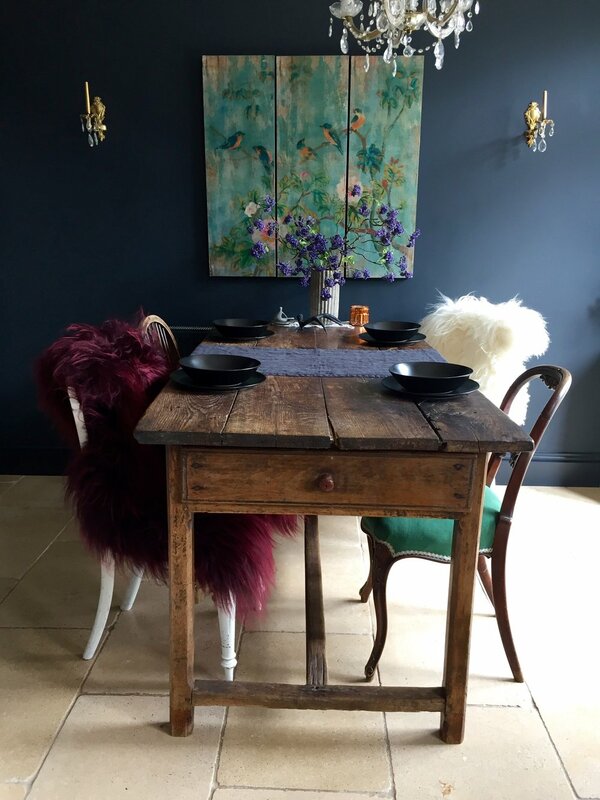 I devoted myself to them, but as they both got a little older and I finally managed to get some time for myself, I would spend hours in the evening or when they were napping trawling through interiors websites or Pintrest re-igniting my passion. 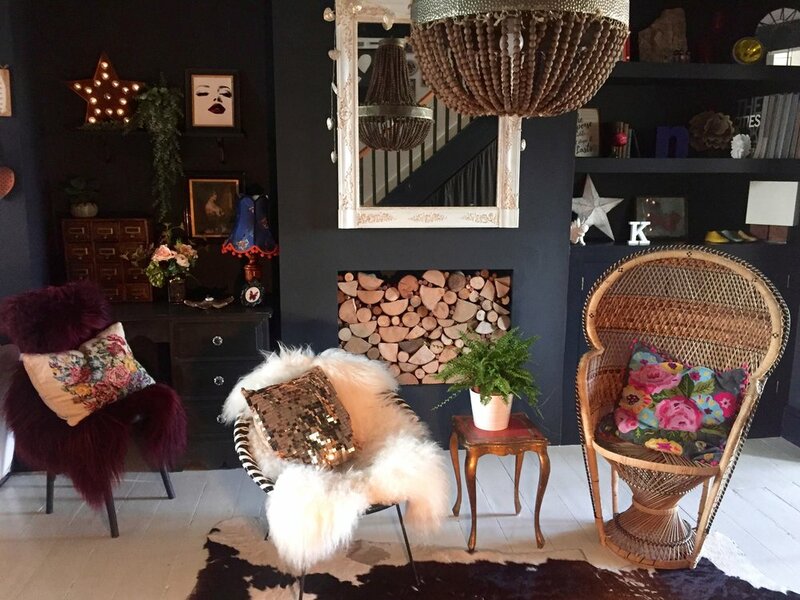 When my youngest started school I set about transforming the downstairs of my house using dark moody colours and lots of cozy textures into something grown up, glamorous and luxurious. My love of antiques and vintage furniture had defined “my style” so I created a space where I would feel transported and inspired when their toys were put away and they had gone to bed. As a stay at home mum, money was short so I would buy cheap vintage bits of furniture on eBay and up cycle them with chalk paint and pretty handles or bits of fabric. After amazing feedback from friends I realised I must take the chance and dust off my drawing board and start my interiors business and make the obsession a reality. I believe a fabulous home is accessible to everyone, whatever their budget. To find out how we can create your dream space, check out my services page.